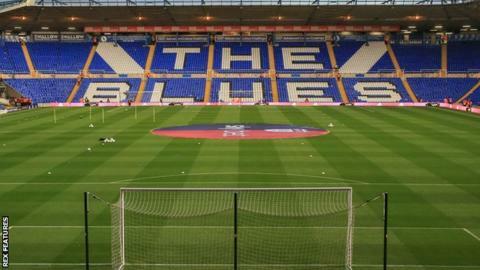 Birmingham City have been deducted nine points by the English Football League for breaching profitability and sustainability rules. Following the sanction, Blues drop from 13th to 18th in the Championship, five points above the relegation zone with eight games to play. The EFL said Blues incurred losses of nearly £48.8m between 2015 and 2018. That is almost £10m more than the accepted adjusted losses of £39m over a three-year period. Both Birmingham City and the EFL have 14 days to appeal against the decision of the Independent Disciplinary Commission, which considered the matter on Monday. Blues, who have avoided relegation on the final day in the past two seasons, said they had put measures in place to limit future spending and adhered to an EFL business plan since August. "Decisions by the owners and the board of directors were taken with the club's best interests at heart and a determination to halt a cycle of decline and stagnation, with the intention of pushing on to fulfil ours and our fans' ambitions," a club statement said. "This season we have taken significant strides forward on and off the pitch and the owners' commitment and intention to drive continued improvement of the club's fortunes will not diminish. "Under manager Garry Monk, we have a very tight-knit squad of players who have performed with a sense of belonging, pride and passion. We have no doubt that will continue right to the season's end." It is understood that there will be no further financial penalties for the club, nor will they be under a future transfer embargo relating to this issue. Birmingham are the first club to be deducted points since the EFL introduced its new profitability and sustainability regulations at the start of the 2016-17 season. In January, Blues revealed a £37.5m loss in the 12 months to the end of June 2018, largely a result of their wage bill rising from £22m to almost £38m after an extensive recruitment drive in 2017. The independent panel heard that they spent £7.45m on four new players in January 2017, when Gianfranco Zola was manager, and a further £23.75m to add 14 players to the squad that summer, by which time Harry Redknapp had taken charge. Both Zola and Redknapp were sacked after short stints, the costs of which were also given as factors to Birmingham's rule breach. The panel decided that the signing of defender Kristian Pedersen in the summer of 2018 should "not be treated as an aggravating factor" in the case, which could have incurred a greater penalty for Birmingham. The club was told by the EFL via email on 2 May 2018 that they were under a registration embargo as it was "reliant on future player transfers in order to fulfil the P&S requirement". However, Blues agreed a deal with German club Union Berlin for the 24-year-old, and attempted to register him on 29 June. In his written statement, Birmingham chief executive Xuandong Ren said he understood the registration embargo to be "provisional", and believed the relevant EFL rule did not prevent the club entering into negotiations to sign players. However, in his later oral evidence, he "accepted" that the club's senior finance officer had "informed him by email that the club could not sign new players". The EFL said in August that they were "exceptionally disappointed" Blues had gone through with the transfer, but allowed Pedersen to join the Championship club. When their transfer embargo was lifted, Birmingham were told they would be permitted to make five signings in August under EFL guidance. They signed four players in August, before Swedish international winger Kerim Mrabti signed on a free transfer in January.